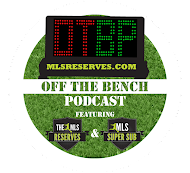 In this special edition of Off The Bench, Luke Lohr moderates a panel of experts as they discuss the implications and talking points of Major League Soccer's 20th team: New York City FC. Rob Stone of FOX Soccer, Alexi Lalas of ESPN and Big Head, Red Head podcast, Jimmy Conrad of KickTV and the American Soccer Spectacular, and Pedro Gomes participate in a 'digital roundtable' on what NYCFC means for the Red Bulls, the fans of the game and the league overall. Off The Bench, for your listening pleasure. New York City FC has announced their first employee and it's a name well known to US Soccer fans. Claudio Reyna will be the Director of Football for the foreseeable future.